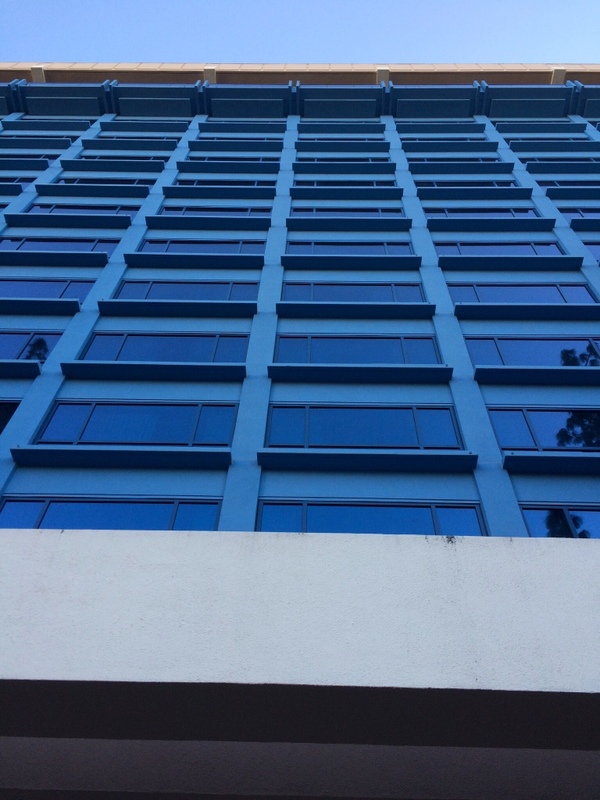 After I parked the car, we walked to the main hotel entrance. 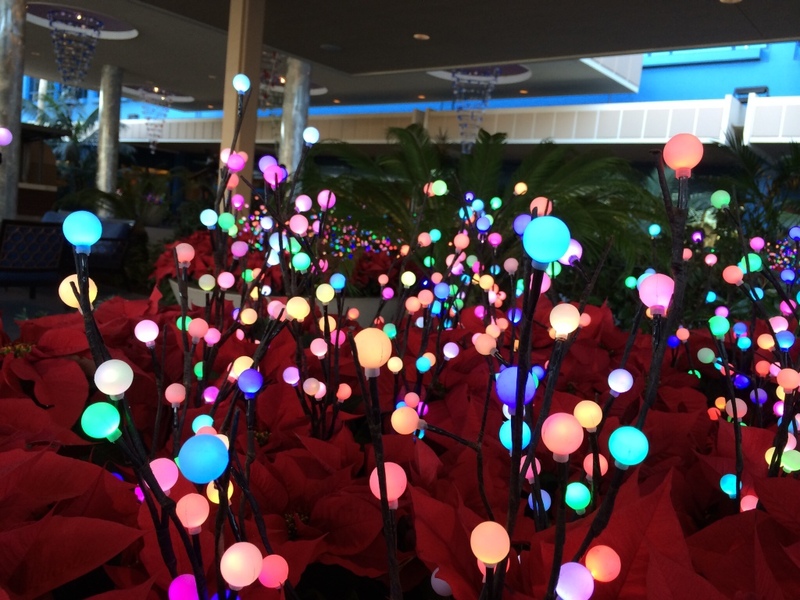 There were bushes filled with colored lights lined along the sides that greeted us with a friendly warning: here come the feels! 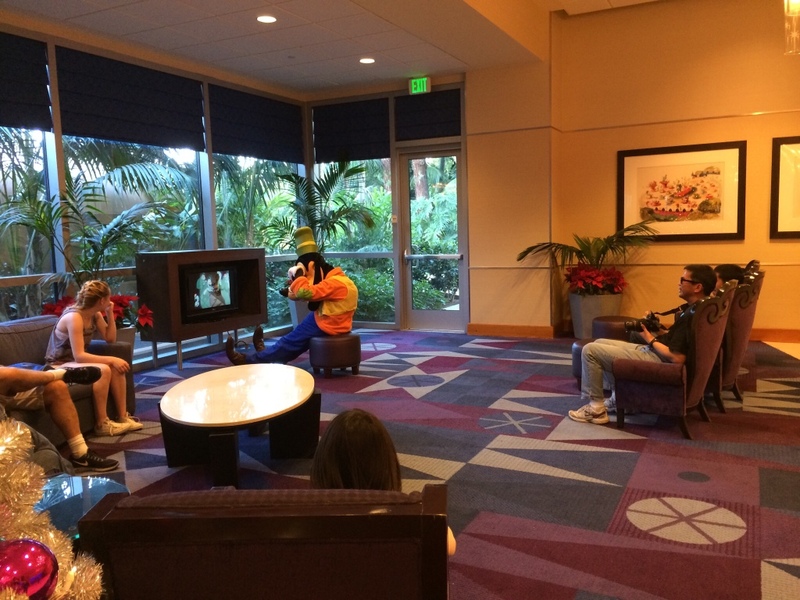 Goofy! 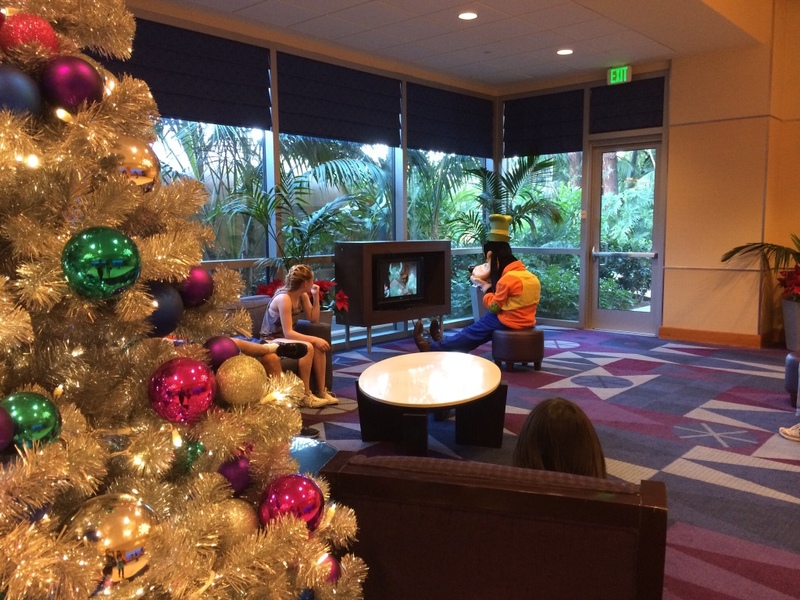 He sat directly in front of people trying to watch the tv in the lobby. Lol. 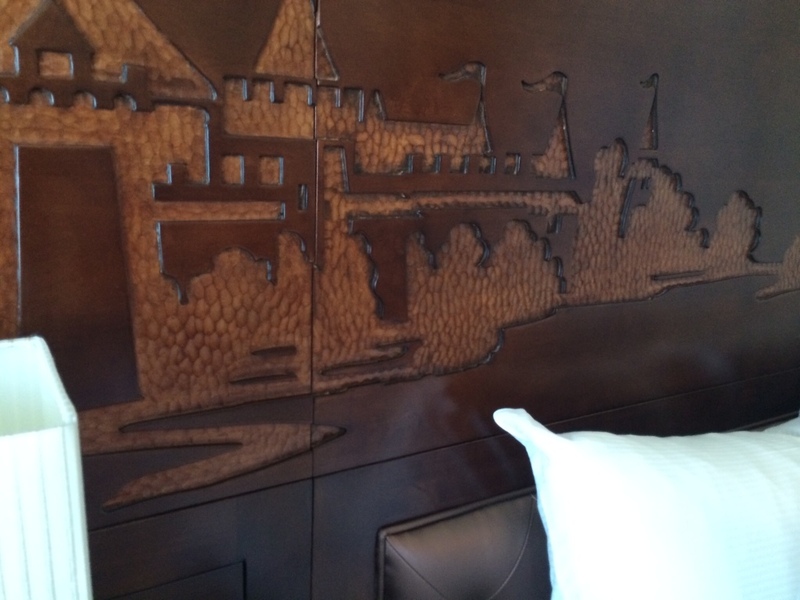 It’s the little details like this that really make your stay here special. What a prankster. After that, we got our hotel keys and it was off to our room! 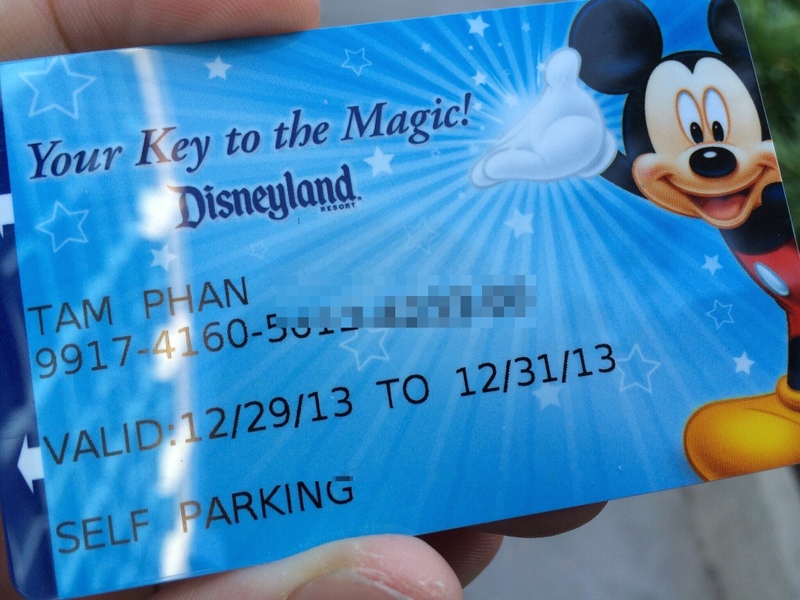 Each hotel key can be personalized. If you’re traveling in a group, each person can have their very own card key! It feels awesome to have your name on the key, by the way. 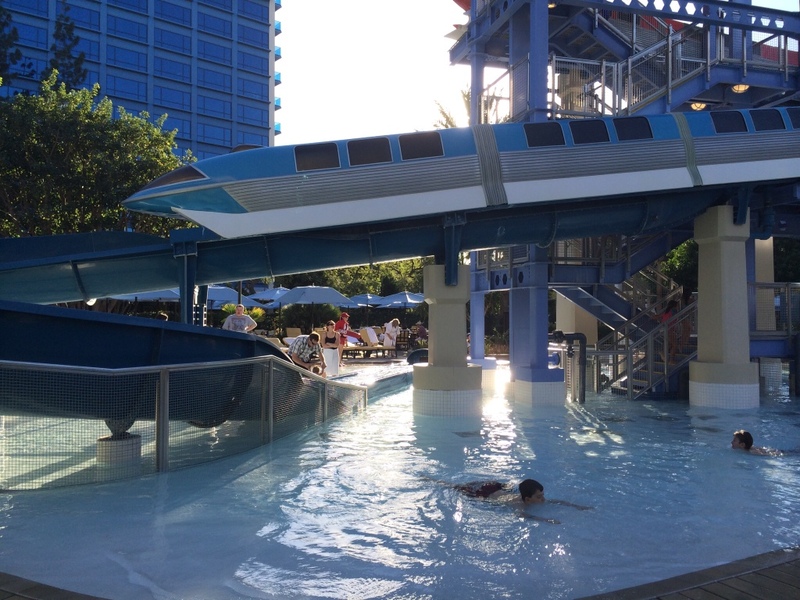 On our way to the Frontier Tower (there are 3 towers total), we passed by the pool and I took some pictures. 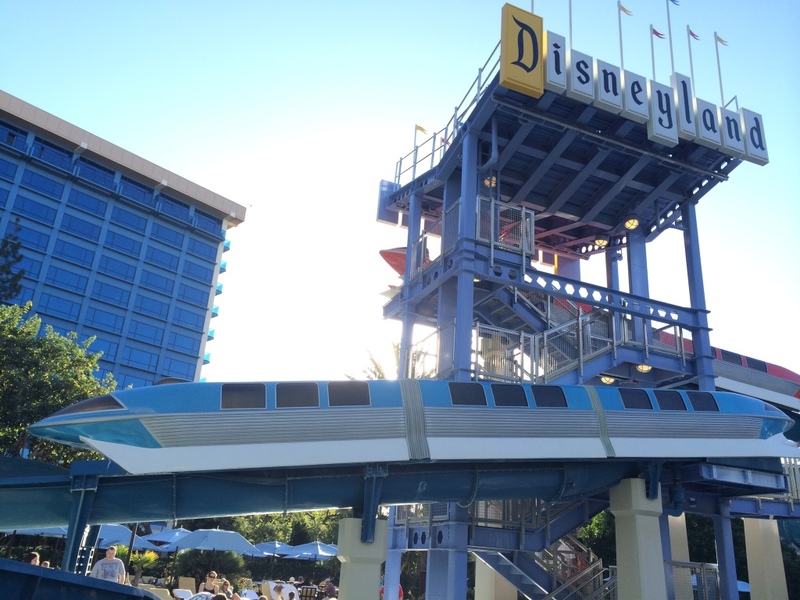 The water slides have recently been remodeled after the famous Disneyland monorail, with the classic Disneyland logo prominently displayed up top. Loved the old school look. 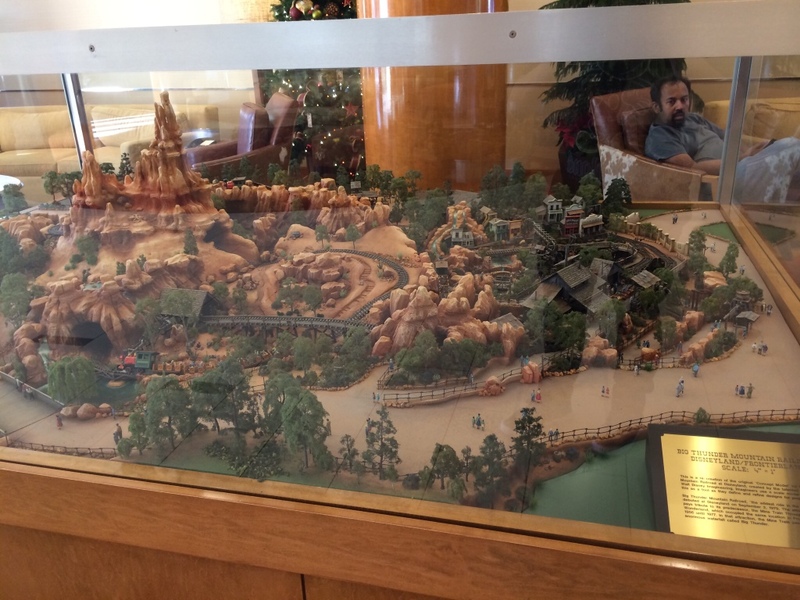 We arrived at our tower and in the lobby was this super detailed scale model of a concept version of Big Thunder Mountain Railroad. I couldn’t find the goat anywhere haha. Then we headed on up to our room. 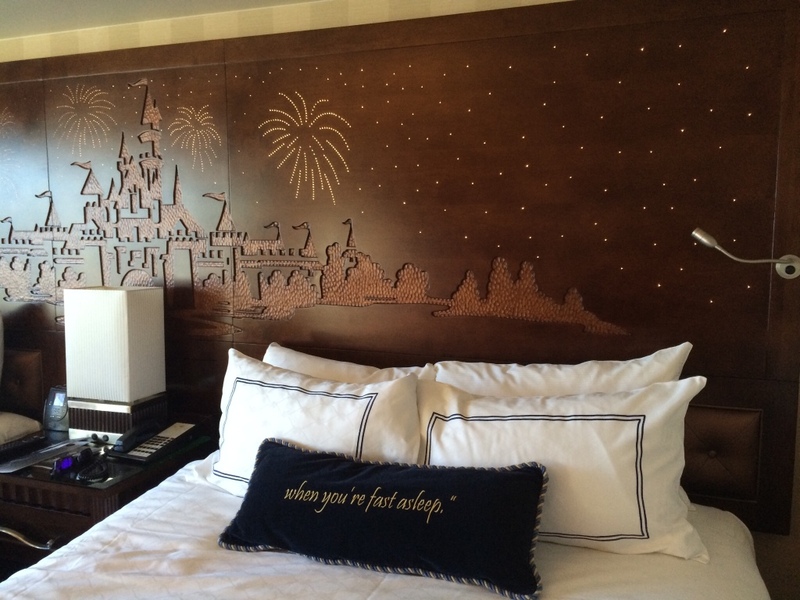 Upon entering our room, at the head of each bed, I saw the most amazing Disney furniture I have ever seen — the beds. They were like fluffy white clouds, with a decorative pillow embroidered with lyrics from a very famous Disney song. 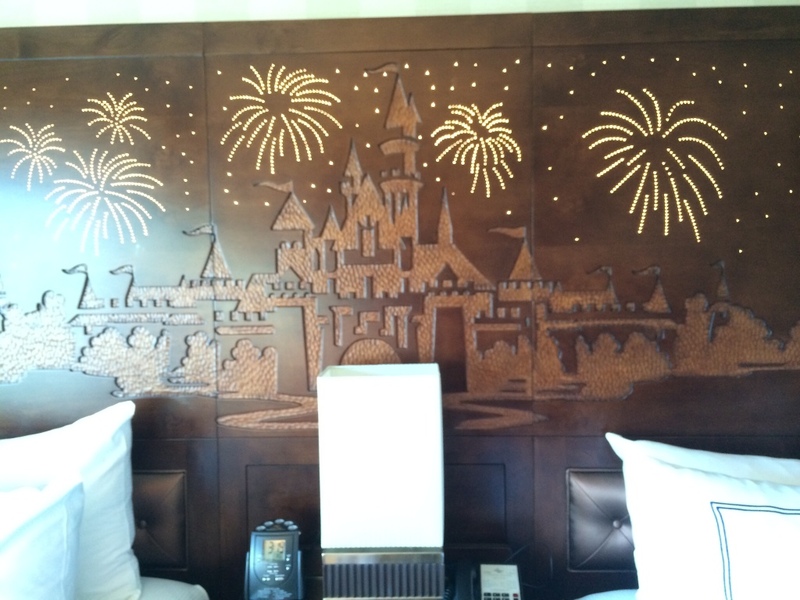 The beds’ headboards were a deep brown wood, carved with the castle and decorated with embedded lights in the shape of fireworks exploding in the sky. In the center of the beds, the nightstand contained a small black switch. When I flipped it, the fireworks lit up and a music box played “A Dream Is A Wish Your Heart Makes” to send you off when it’s time to sleep. 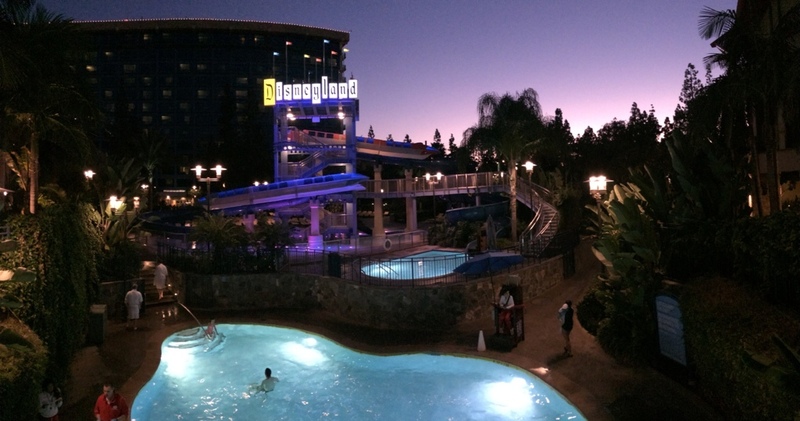 Whoa, Disney knows how to do things! 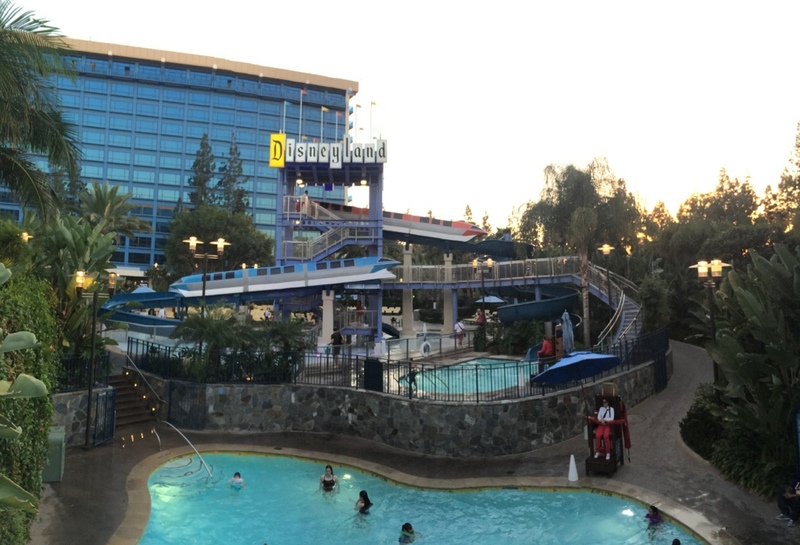 I loved my stay here so much (and it was super convenient to have a room so close to the parks) that I’m planning on booking the Grand Californian sometime soon.